Mayda is getting married on a beautiful white sandy beach in the Dominican Republic. Mayda would like a simple classic look that would be suitable for the beach. Mayda does not want to feel like she is wearing make-up so she needs a look that is glamorous, suitable for the beach but most important light- weight and timeless. The look that I designed for Mayda is classic and the color palette is peachy bronzy. Let’s get married and look stunning! Eyes are the windows to the soul, they should be enhanced and made to look very bright and open! 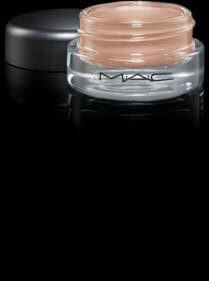 MAC Paintpot-“Bare Study”- this is a creamy product, use a thin layer all over the lid (from lash line up to the brow bone). 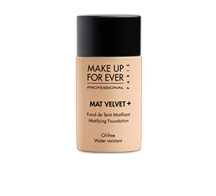 This product will be used as a primer to extend the life of your eye shadow and to make your eye shadow color more vibrant. 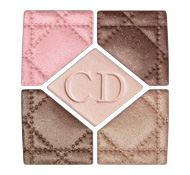 Christian Dior- 5 Couleurs-“Rosy Tan, 754”- Color Key– Top Left-Pink, Top Right-Dark Brown, Bottom Left Bronzy, Bottom Right- Champagne, Center (CD)-Peachy. Apply Peachy (CD) to the outer lid (from the lash line to the crease), Apply Champagne (BR) to the outer lid, Apply Dark Brown (TR) to the crease. 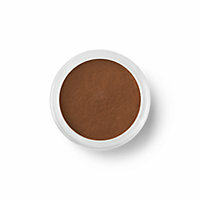 MAC Fluidline “Dipdown Brow”-this is a gel eyeliner and should be used with an angled eyeliner brush (MAC 266). Dip your brush in the gel eyeliner and apply to the top lid (directly above the lash line and from the inner corner to the end of your lash liner). Slightly extend the eyeliner beyond the lashes to get a winged look. Even out your skin to create an even and flawless palette! Contour your face with Bronzer! Bare Minerals Bronzer “Warmth”- Apply “Warmth” lightly along the cheekbone (towards the ear) and lightly dust across the forehead. 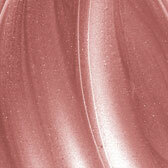 Bronzer is meant to create a sun kissed look, apply only where the sun would naturally hit the face. 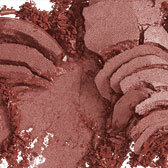 MAC Blush “Ambering Rose”- this blush is in the coral (burnt orange) family. Apply lightly only to the apples of the cheeks (can’t find your apples…smile). MAC Lipstick- Viva Glam 5- this lipstick is neutral with a hint of peach, apply to the lips and define the cupids bow, then apply MAC Lustreglass “Love Nectar”. 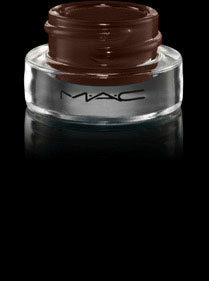 Apply Love Nectar on top of the lipstick, this creates a rich neutral lip. If you love lip liner I recommend MAC Lip liner “Cork”. 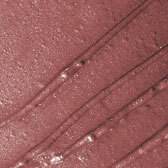 Apply lightly and blend in to create a natural line.